A corporate hotel in Rotherham has been made available for sale. 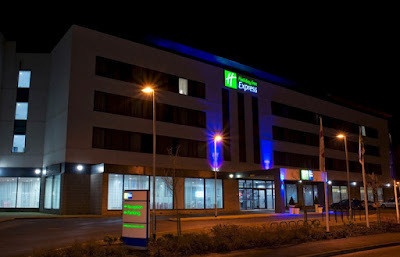 Known as the Holiday Inn Express Rotherham – North, the 130-bed hotel was a key development within the £100m+ Waterfront development at Manvers by TCN UK which also incorporates lakeside houses and apartments, commercial space, a boating lake and golf course. Agents at Knight Frank have now been commissioned to sell the property which has been given a guide price of £4.95m. The hotel also has a bar and restaurant plus five conference rooms, free Wi-Fi and free on-site parking. Specialist hotel developer Heritage London & Hanover Group began construction of the £9m development in 2008 and it opened in late 2009 as the Park Inn by Radisson. In 2012, the owners engaged BDL Management to operate the hotel on their behalf and it was refurbished and relaunched as The Holiday Inn Express Rotherham North later that year. Then in 2015, the hotel was added to the growing portfolio of Vivek Chadha's Nine Group which develops and manages multiple branded hotels in the UK and is a major commercial investor in UK real estate.